Lexus International Executive Vice President Mark Templin said the car is “just a design concept,” and a way of getting the brand’s stylists to think about the future, when car buyers in crowded megacities are expected to be seek out premium small cars. A smaller Lexus does not mean a cheaper Lexus, Templin added. “We are not aiming to shift our price point lower with this car,” he said. A production version of the Lexus model could go on sale in 2018 and would slot below the CT, the brand’s best-seller in Europe, reports said. Like the CT, a production LF-SA would be offered only with a hybrid powertrain, the reports added. This makes for a puzzle — even with a hybrid powertrain, could Lexus realistically charge the same price for a production LF-SA and the much larger CT? 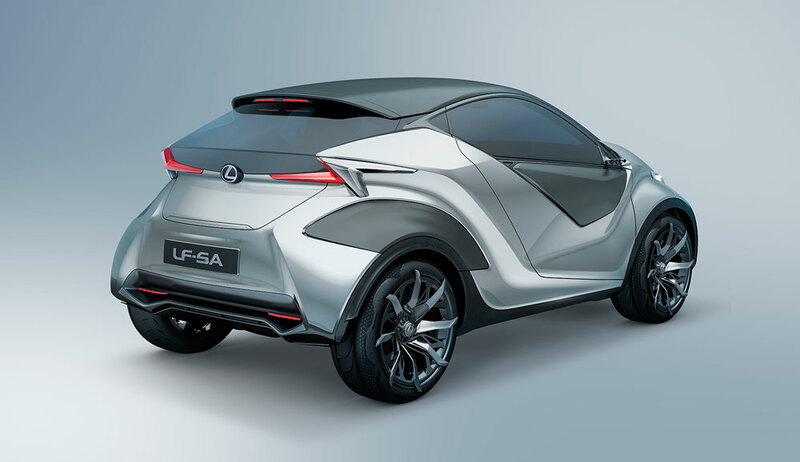 A subcompact based on the LF-SA could give Lexus a sales boost in Europe, where Toyota’s premium brand has failed to make headway against German rivals. But most of the sales volume for the small car would come from other markets, Toyota spokesman Jean-Yves Jault said. Lexus’ market numbers in Europe are unlikely to support this type of car.